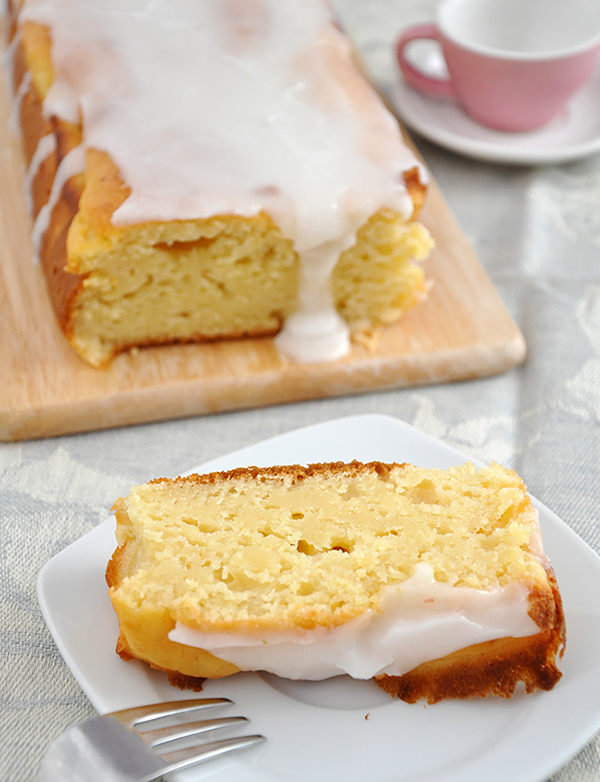 Check out this deliciously moist lemon cake with a sweet crunchy icing. Not only is the cake easy to make in the bread maker (just mix and go!) the process of poking holes in the finished product and drizzling the topping is one the kids will love helping with! This Lemon Drizzle Cake travels very well, so it’s perfect for bake sales, picnics and something to take over to a friend’s house for afternoon tea. Double line the bread pan with baking parchment or loaf tin liners. Add the vanilla, milk, lemon juice and zest. Select the BAKE ONLY mode and enter 50 minutes on the timer. After baking, test with a skewer to see if the cake is cooked. If the cake requires extra time, select the bake mode again and enter a further 3-5 minutes. If it is still just slightly sticky this will cook through during the stand period. Leave the cake in the bread bakery for 5mins and mix together the topping ingredients. After 5 minutes take the bread pan out of the bread maker using oven gloves and fork the cake all over. Then gradually spoon over the lemon drizzle topping waiting for it to be absorbed.